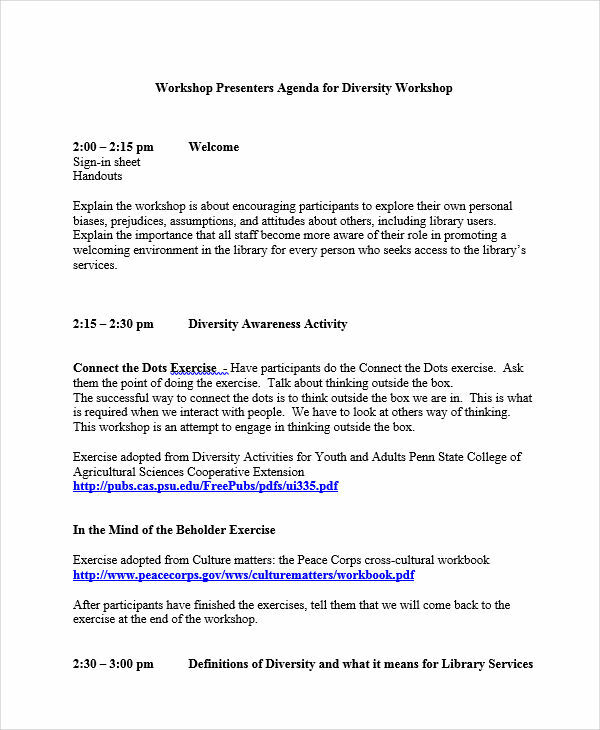 A workshop agenda is helpful simply because workshops themselves are supposed to be helpful. 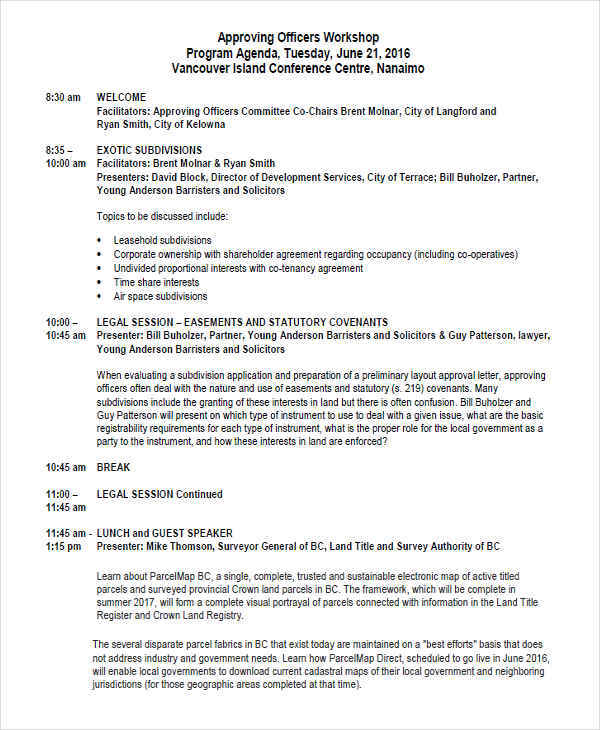 An agenda is what will guide the event. 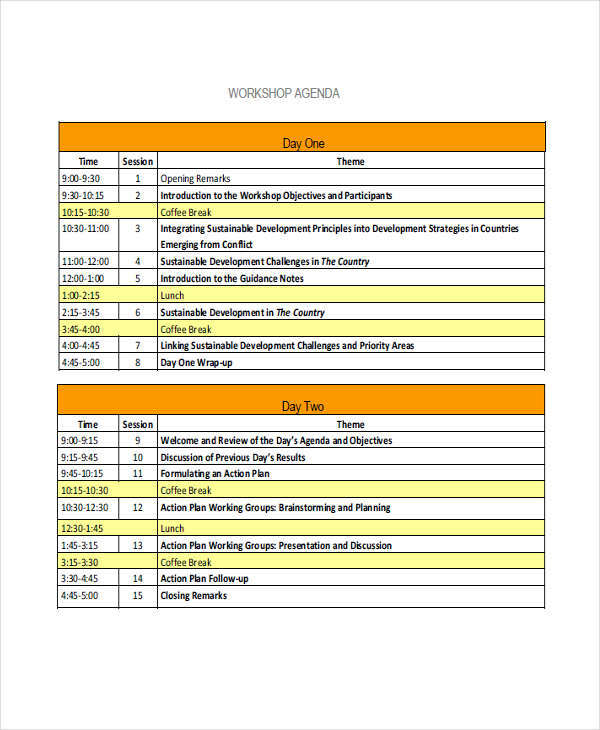 The agenda is a timetable of activities that the host plans to cover in the workshop. 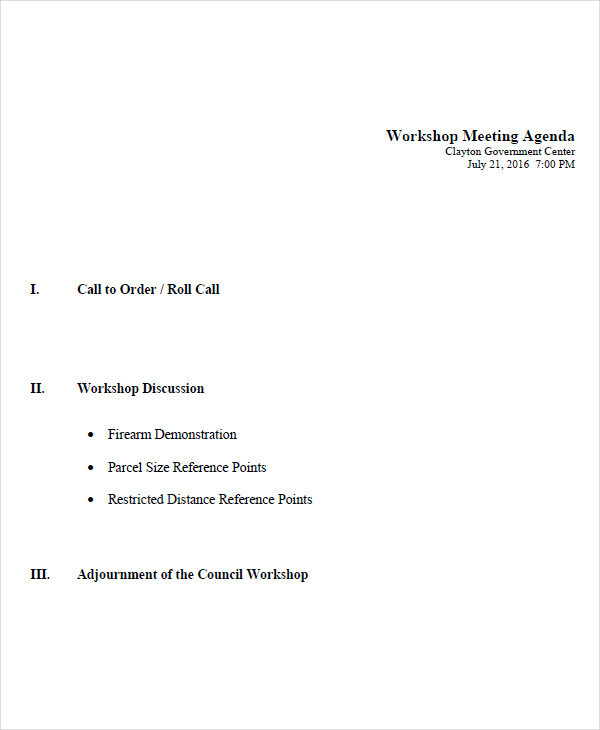 In an organizational setting, a workshop will look like a team meeting, and the workshop agenda acts to disseminate the plan for this meeting. 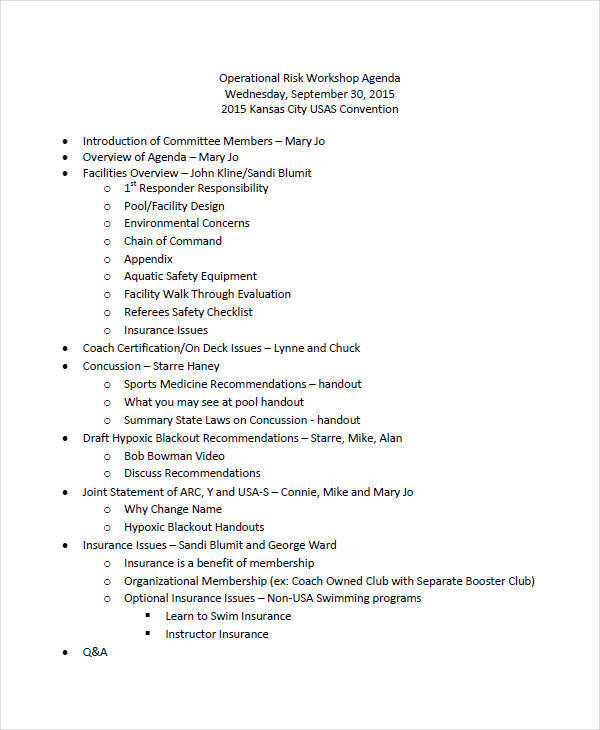 A well-planned agenda equals a well-planned workshop. 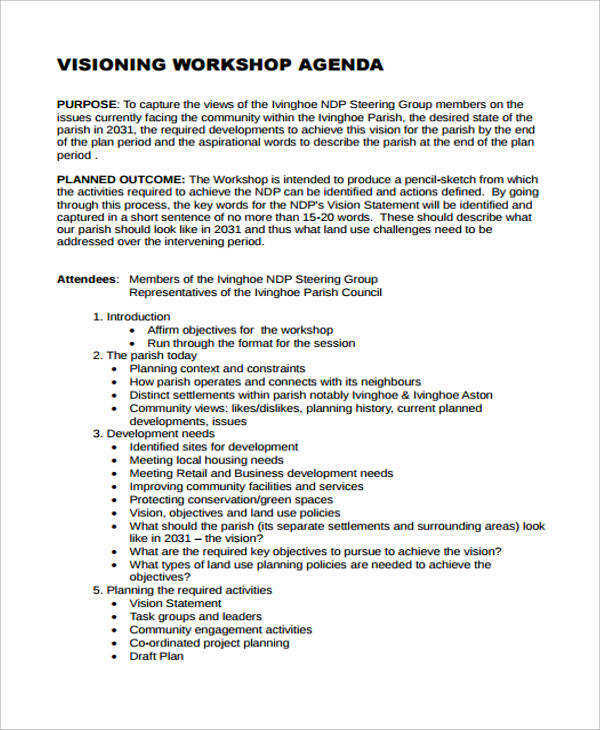 So much so that it is worth having a workshop in agenda writing. 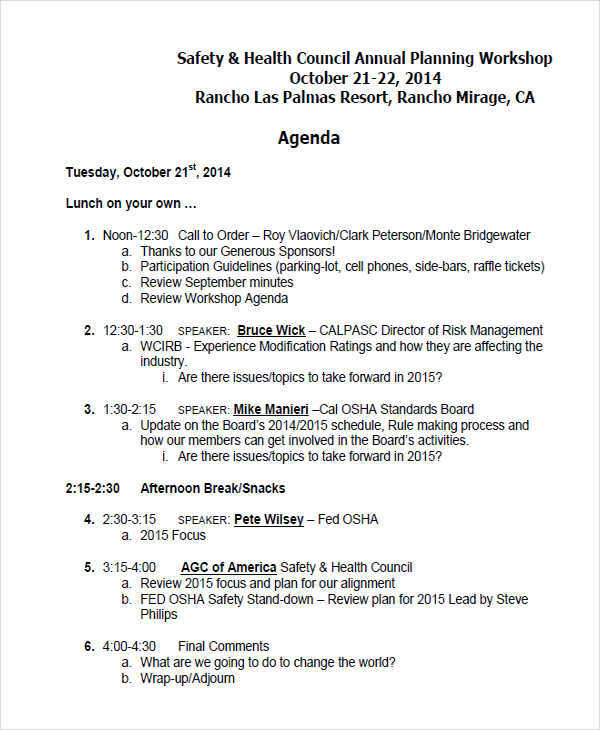 In a pinch, these workshop agenda examples should show you how it’s done. 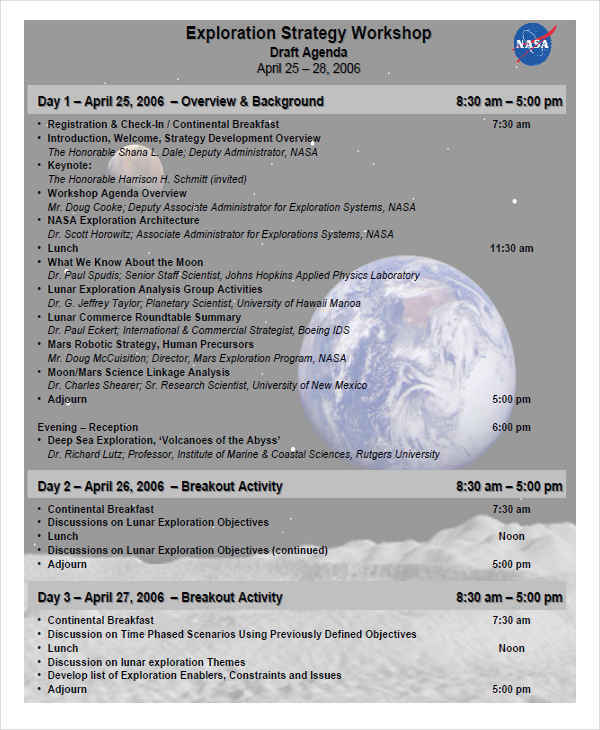 What Is a Workshop Agenda? 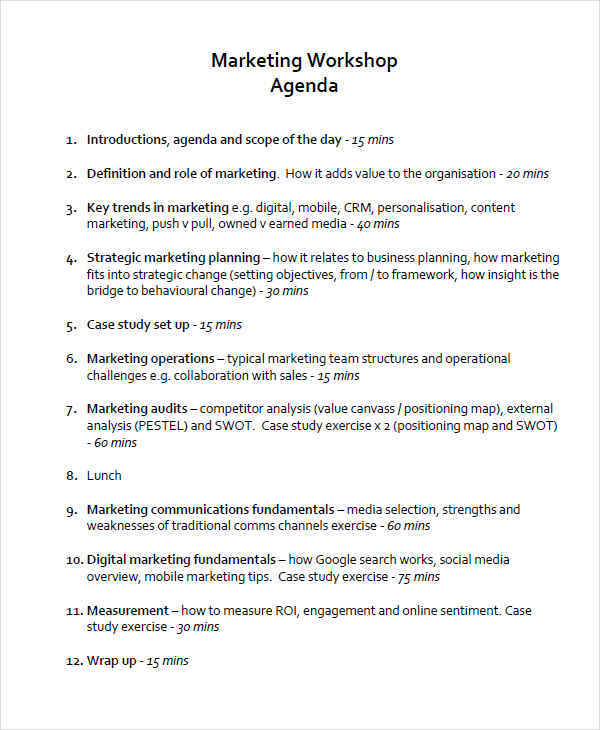 Any agenda, be it a business agenda or a workshop agenda, is an itinerary coupled with a fixed time frame of the event. This helps you to stay on schedule while providing an overview of what you intend to accomplish within that span of time. 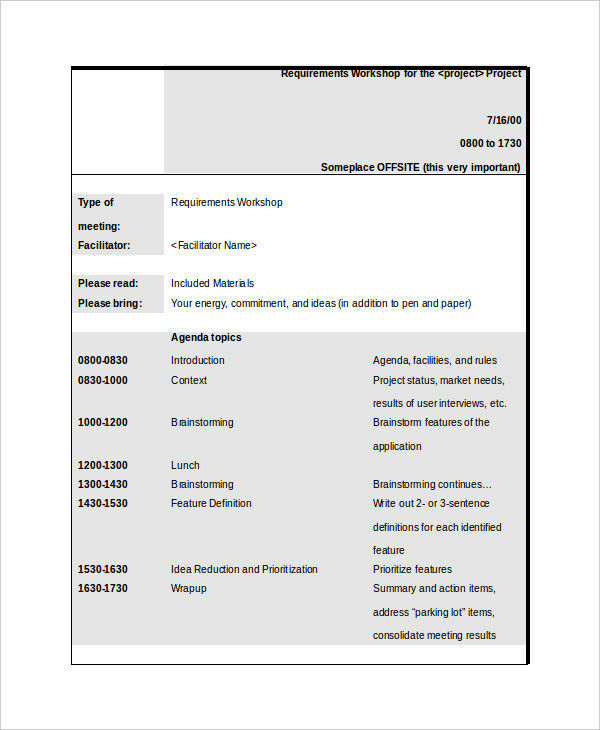 Why Do You Need a Workshop Agenda? Often in an event or meeting, it is common to have some delay or to overreach the time expected. 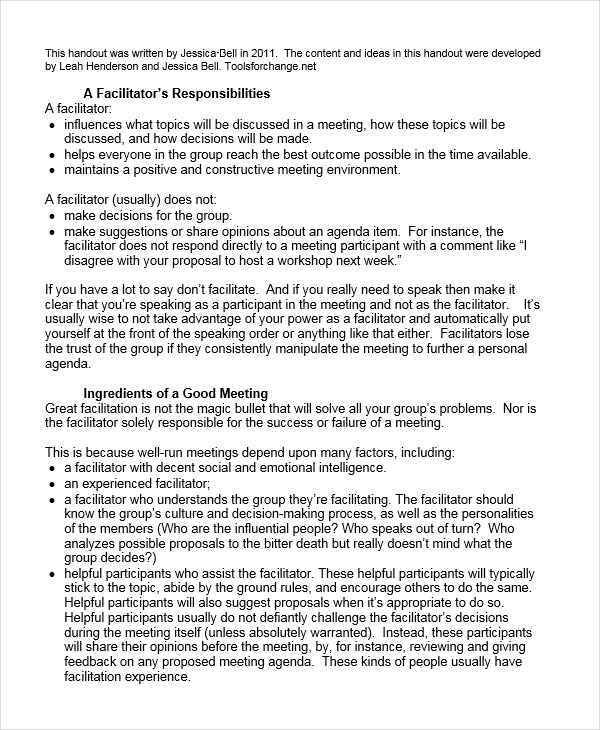 We tend to let this slide because meetings will be meetings. When it comes to workshops, you really do need to put your foot down. Workshops are meant to accomplish something concrete by the end (as should all meetings, really), and so a strict time allotment per activity must be observed. 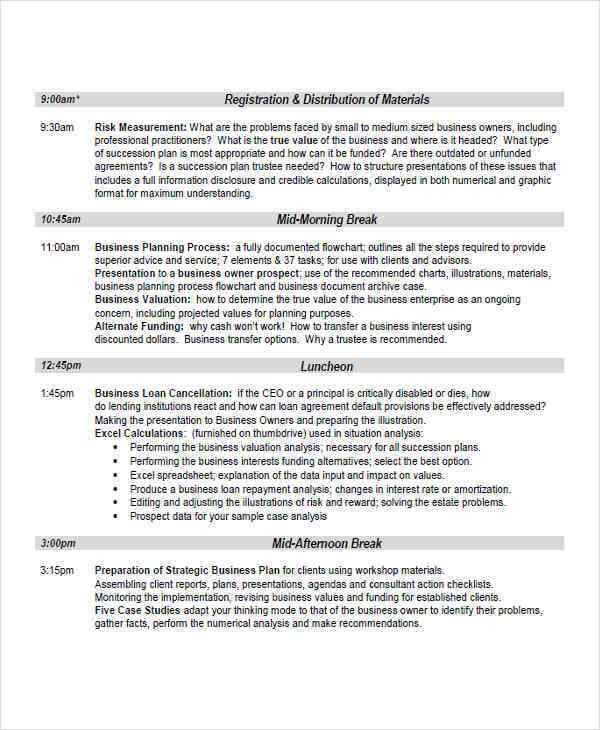 These free agenda examples can help you accomplish that if you take the time to prepare one that works. You will first need to identify the activities you will have in the event. To do this, put yourself in the attendee’s shoes. What would he or she want to take out of the event? How can you best fit in as many relevant activities as possible without overcommitting? What is an optimal time frame for the goal you want to achieve? You will need to define your goal and objectives, as well as identify interesting activities and a good location. It is important that people gain practical knowledge from your workshop, and so your agenda should prioritize on what they will be learning. In a way, it will be a learning agenda. Goal. If you plan to do a workshop, the first thing to do is to define your goal. In a business workshop setting, this could be related to a work agenda: improving organizational management, improving a particular department, spreading awareness, honing and updating skill sets, and so on. From this, you can simply determine the topics that should be discussed. Location. 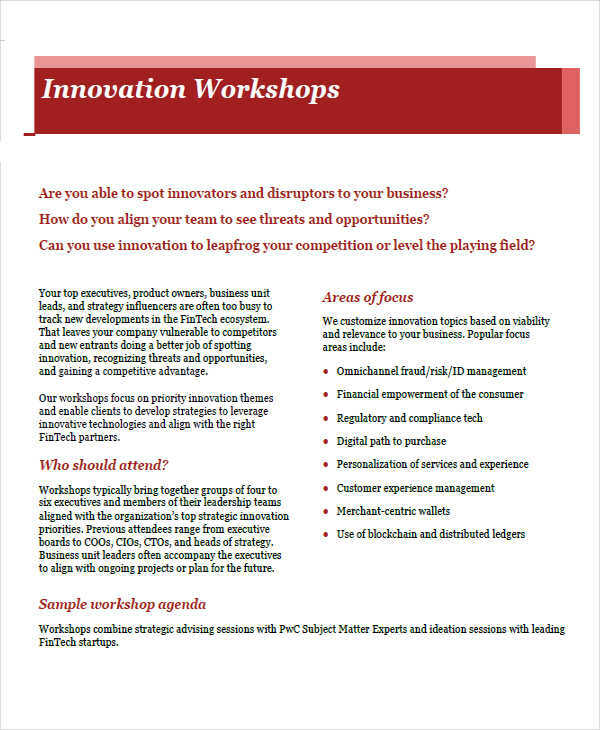 In choosing the location of your workshop, you must be aware of individual concerns. Choosing the best location is one way of telling them that your workshop is accessible and trying its best to be helpful. You don’t need a workshop with numerous people attending, as long as the right people can attend. Fixed time. “Time is gold,” goes the popular saying. You don’t want to waste time in off-topic or hollow information. One way to curb this is to have a time limit that will force you to stay on target. Individual participation. Include activities everyone can participate in so they become more invested. For example, at the start of the workshop, everyone must introduce themselves to the crowd: what is your work, where do live, why did you choose to attend the workshop. Evaluation sheet. Prepare this sheet for each individual to fill out at the end of the workshop. Through their comments and evaluations, you can determine what you should be doing to improve your workshops. For every actionable suggestion, consider including it in your next workshop’s research agenda. Good service. This is key to retain participants’ loyalty and increase the chances they will want to attend your next events.